We’re wrapping up the 3rd #HAHD Marathon Challenge with a fun 30 article mini-challenge that’s open to everyone! The 3rd #HAHD Marathon Challenge officially wraps up 30 days from today. 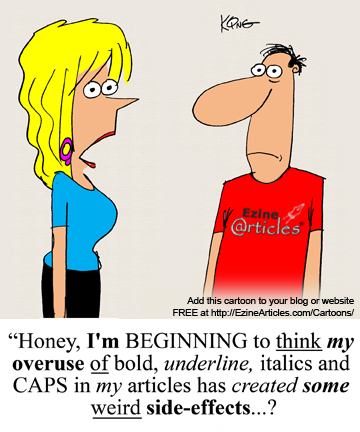 To make things a bit more interesting, we’ve come up with a 30 article mini-challenge that will reward you with an EzineArticles cartoon mug of your choice just for writing and submitting 30 articles before the challenge deadline. 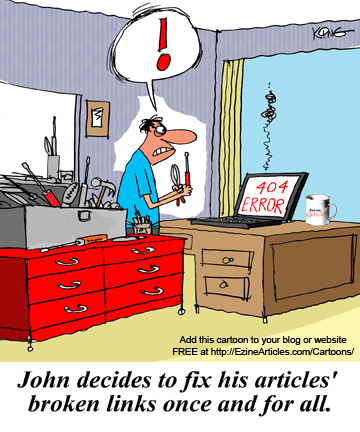 Not only that, one lucky qualifying Expert Author will be drawn at random to receive the complete collection of all 13 EzineArticles Cartoon Mugs! Enroll in the 3rd #HAHD Marathon Challenge (if you haven’t already). Submit at least 30 qualifying articles, of at least 400 words each, between 12:01AM today and 11:59PM CST, April 10th, 2010. 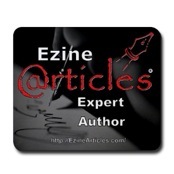 Receive a gift certificate via email for a cartoon mug of your choice from the EzineArticles Online Store. 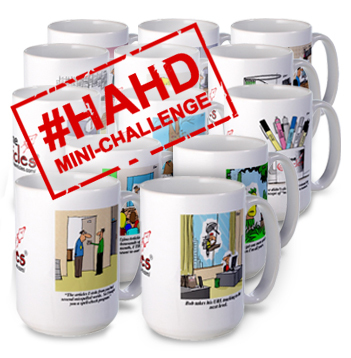 We’ll draw the name of one #HAHD Cartoon Mug Mini-Challenge qualifier at random to receive a complete EzineArticles cartoon mug collection valued at nearly $170! 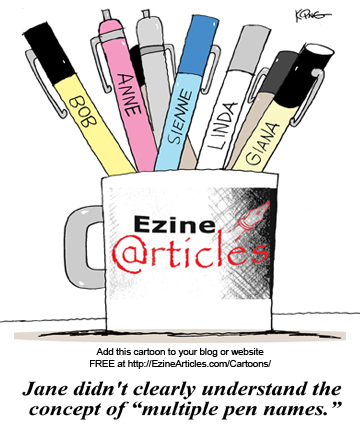 This Fun Collection of (8) New EzineArticles Cartoon Mugs is Now Available in our Online Store! 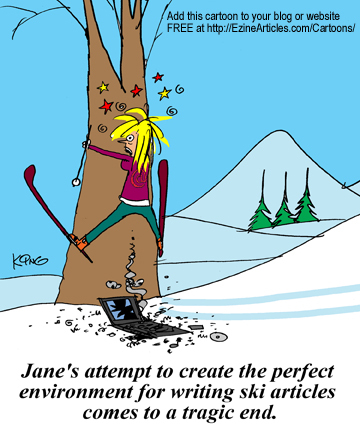 For the last year, we’ve been posting a selection of Jerry King’s article writing and marketing-related cartoons in our Blog. 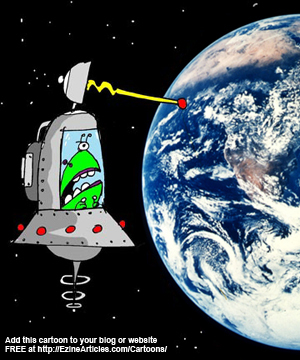 People liked them so much that we even created a cartoon archive page that allows you to add these cartoons directly to your website. And years before that, we began sending EzineArticles Mugs to our members. Expert Authors love ’em so much that we’re now sending out hundreds a month to our new Platinum Members. Well, it finally occurred to us last week (we’re a little slow on the uptake sometimes) that combining these two much-loved items into one laughable, holdable, washable piece of EzineArticles wonderfulness might be a pretty good idea! 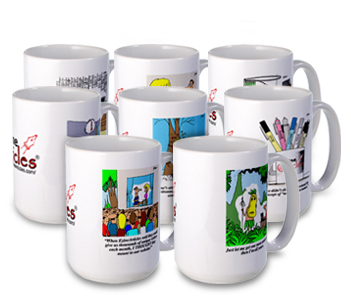 Behold, our collection of 8 EzineArticles Cartoon Mugs! Go check ’em out! Pick out your favorite cartoon, order your mug*, and then get back to writing and submitting more articles. In a few days, you’ll be sipping your favorite beverage out of your own ceramic vessel of EzineArticles nirvana. Sometimes writing is easy. Not always, but once in a while the words just flow and you find that you have typed a brilliant article that runs 800, 1000 maybe even 2000 words. It’s tempting when the words flow this easily to either keep writing or to publish your masterpiece right away. But wait! 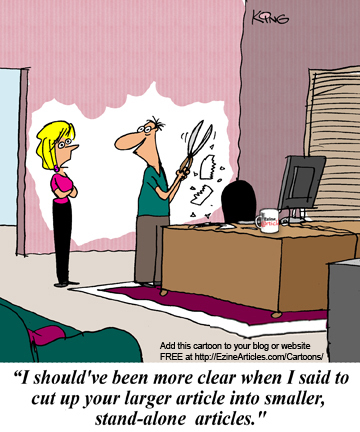 You may be missing even more potential views with your haste! Before you send that article in – or keep adding to it – read it. Have you covered more than one area of your niche in this article? Is it possible that there are one, two or even more hidden gems within that would make great articles on their own? It’s tough to know just how long of an article is too long. You don’t want to bore your reader, but you want to be thorough. You also don’t want your article to be so short that your reader isn’t entertained or informed enough to come back for more. Last week we introduced our new approach to broken link detection and began notifying members if we found broken links in any of your existing articles. The response from our members was huge… and much greater than we had anticipated. Since then we have been working diligently to address this overwhelming response. I’d like to share some of the challenges that have been created and help you better understand what will be happening in the next few days. The email we sent to members stated that we would be unlinking your links in 48 hours if no action was taken. This is incorrect and we apologize for the error. We will recheck and then unlink your dead link in 35 days (but would like you to fix it within the next 48 hours). 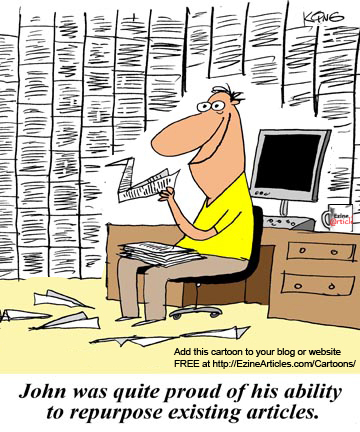 In the past 48 hours we have received over 10,000 article re-submissions with your corrections. Wow! We had no idea our members were that fast! We’ve received over 2,000 emails to our Member Support Team providing us with a heads up. This is great! It shows that a good user experience is important to all of us! When you fix a dead link by editing your article…your article will be re-reviewed with today’s standard of article review and not the standard that was used on the original date your article was first accepted. Sorry, we don’t grandfather any article which means any article edited must pass today’s standards (that are always just a slight bit higher than previous years standards). When you delete an article you will notice that your links will still show as being invalid in your Article Diagnostic Center. We are aware of this and are working on a resolution. 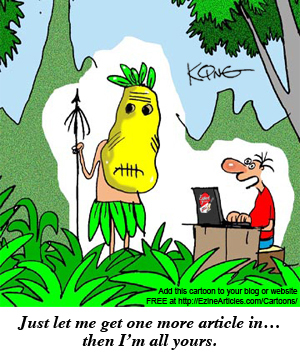 We sent out 2 emails to every member with a confirmed dead link – one went to your email address on file and the other was sent to your EzineArticles Member’s Inbox. These emails were identical. You can disregard one email if you have already addressed the broken link(s). If your Article Diagnostic Center shows no links to be invalid, you can trust that this is correct! In addition, we’ve had to create a series of new internal tools to help our team support you. All of this has, unfortunately, put us into a backlog both in Member Support and article approvals. We will be working on this diligently and our editors are dedicated to investing the overtime necessary to get us back to normal approval times.